In this evening’s Macron Scottish Junior Cup 5th Round draw, Pollok were pulled out of the hat at home to East Region side Rosyth. The Fifers have had a difficult 2018-19 thus far and find themselves at present towards the foot of the East Region South Division table with 12 points from 11 games. They have had more joy in cup ties so far, winning last weekend at home to West Calder United in their Thorntons East League Cup group stage match. They also managed to hit double figures back in September in the DJ Laing East Region Cup at home to Coupar Angus, running out 12-1 winners. This is their first season at a new home – Lok played them (and won) at the now vacated Recreation Park in the Ronnie Lowrie era. They now play at the Fleet Grounds, should a replay be required. In the run up to Christmas, the club is asking the Pollok support to bring along a small bag of non perishable food items to one of the next 3 home matches. This year the donations will be handed over to the Glasgow South West foodbank as well as the Lodging House Mission in time for Christmas to help those in our community who find themselves in crisis. The Pollok support have generously donated to the foodbank over the last few Christmases and most recently at Easter. Bags can be dropped off at the next three home games listed below. If you joined us in February for our first race night in Loks, you’ll neigh doubt be aware what a great night it was. The runners and riders have been announced and the autumn meet will take place on October 13th at Loks Bar & Kitchen. Get in the parade ring at 7 for a 7:30 start. At £10 a ticket, it’s a gamble you can’t lose. First furlong – A night packed full of top racing action. Study the form, pick the horse with the best name or go with the one in black and white stripes. Whoever you choose, if it’s first past the post your wallet might get heavier as the evening goes on! Second furlong – A superb buffet will be provided by our sponsors at Loks Bar and Kitchen. There will be plenty of nosebag to keep you going through the night! Loks also boasts one of the finest stocked bars in the Southside so you won’t go thirsty. Final furlong – After your win you’ll be ready to hit the dancefloor as our DJ plays wall to wall floorfillers. 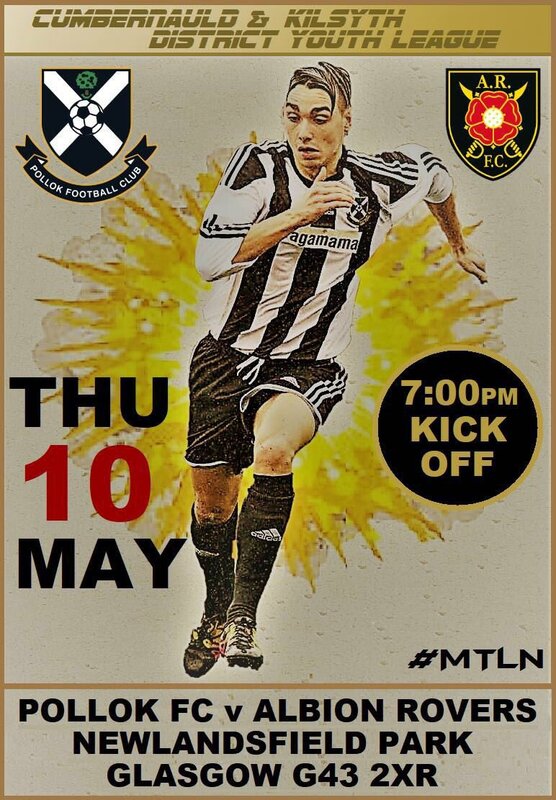 Tickets are now by dropping us email to info@pollokfc.com or by sending us a message on Facebook or Twitter. There will also be tickets available at next Saturday’s Scottish Cup match at home to Buchanhaven Hearts and at our home game on October 6th against Kilbirnie. See you under starters orders! 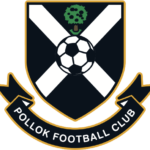 We’re excited to announce that on Saturday 25th August, Pollok FC will be hosting a fans open day prior to our home match against Rob Roy. We’d like to invite all Lok supporters to join us for a roll, tea and coffee to see what goes on behind the scenes at one of Scotland’s biggest junior clubs. 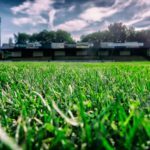 The day will give fans a chance to have a chat face to face with some of the club volunteers to find out how we run the club, from pitch maintenance, commercial growth and media to the great work being done at the Pollok United Soccer Academy and to find out the clubs vision for the future. 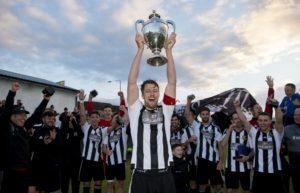 There will also be the opportunity for budding Paul Gallacher’s to get their hands on some silverware and get your photo taken with the Central League Cup which was won a few months back. Weather permitting our ground staff will be on hand to take small groups out on to the pitch to show the work undertaken over the summer to bring the turf up to scratch. The open day will take place in the function room at Loks Bar & Kitchen from 11am until 1pm but supporters are more than welcome to hang around, grab a pre-match drink and watch the warm ups from the comfort of the suite before making your way to the game. The function suite will also be open post match for the post-match presentations and team board cash draw and we’d welcome all supporters young and old to come back and hopefully toast a good result! Gary McCann was named Pollok Player of the Year last night with a majority vote at the club’s AGM. 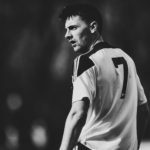 Ahead of his brother Stuart and top scorer Adam Forde, Gary received 60% of the overall votes. Gary follows in the footsteps of ‘keeper Jordan Longmuir who was awarded the accolade last season. Gary has been in sparkling form this season making 28 appearances scoring 8 goals. He also represented Scotland in the International Quadrangular tournament and last week committed his future to Pollok for season 2018-19. The player of the year trophy will be presented to Gary at this years POTY night which takes place on May 19th in Loks Bar & Kitchen. Tickets are available now for £10. More details here. Congratulations from all at Pollok! Unfortunately due to unforseen circumstances, the Pollok ceilidh has been cancelled. Neigh to worry though, in its place we’ve put together a great night for you. Saddle up and join us for what promises to be one of the most fun nights of the year, ‘Stirrup for the Cup!’ – The Pollok FC race night sponsored by Loks Bar and Kitchen. Taking place in the function suite at Loks on the 3rd of February, it promises to have enough action and good times to rival the Gold Cup or Grand National. At £10 a ticket, it’s a gamble you can’t lose. And don’t forget, the ideal warm up for the race night is to head along to Newlandsfield in the afternoon to cheer on the Lok as they play Auchinleck Talbot in the McBookie Super Premier. Towards the end of last year we started working on the Pollok Business Club alongside our friends at FEART and the next meeting takes place this Saturday from 10am until 12:30pm in the function room at Loks. The purpose of this business club is to create a residual income stream for the club which will exist and grow outwith normal football revenues or those revenue streams raised by conventional, traditional or fundraising methods. If you are based in southside of Glasgow and have a business (especially if you are already a Pollok fan!) and would like to join Pollok Business Club, please get in touch for more information. We look forward to seeing and meeting everyone on Saturday and truly know that this will be the beginning of a great partnership!
. There is a Facebook event page over on the Pollok Facebook profile too. Please feel free to bring along any roller banners, leaflets, business cards or anything that may be of use to help promote what you do, and should you require any space to exhibit your business or, for instance, a table or electrical point, please contact us and we will endeavour to assist.